CartiJoint™ FORTE is a dietary supplement that supports joint health and mobility,* brought to you by Fidia, a world leader in hyaluronic acid technology. It contains Glucosamine hydrochloride, Chondroitin sulfate, and Bio-Curcumin Curcugreen™. 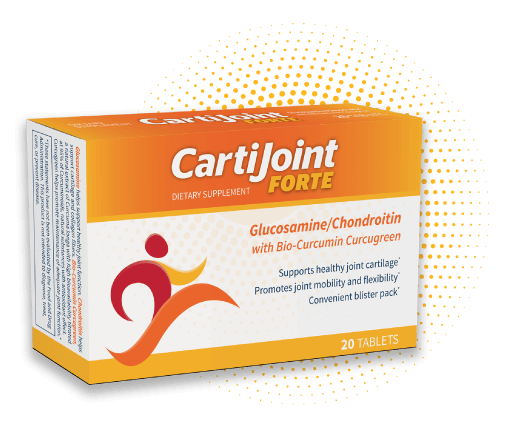 CartiJoint™ FORTE is the dietary supplement that features bioactive* curcumin extract, which is 100% natural turmeric. *These statements have not been evaluated by the Food and Drug Administration. This product is not intended to diagnose, cure, or prevent disease.